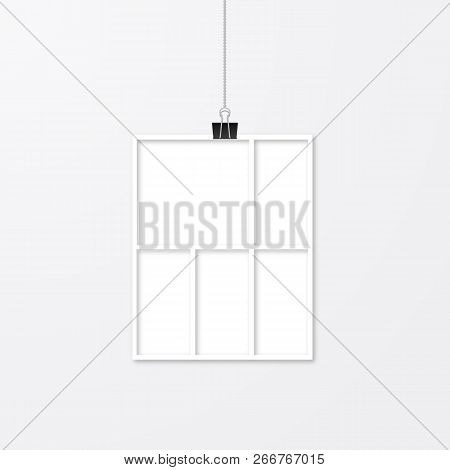 Realistic isolated white paper photo frame hanging by binder clips. Template collage vector illustration. Timeline for photographers. Free space for your picture or design.